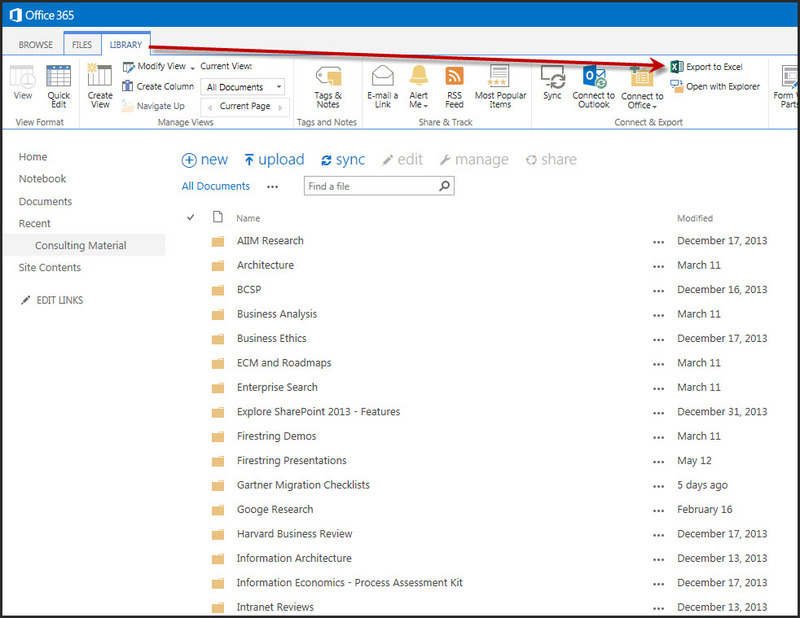 Many users end up duplicating their fileshare structures on SharePoint, this is not ideal and it is better to use metadata where possible. Once the concept of metadata has been embraced, users invariably want to fix the subfolder hell they inherited / created. Sometimes it’s easier to just create the library again and start over, but that’s not always possible and sometimes you need to fix the library where it is. Extracting the metadata from the subfolders currently on the site is easy though, simply export the library to Excel. The list of subfolders are conveniently all listed for you. 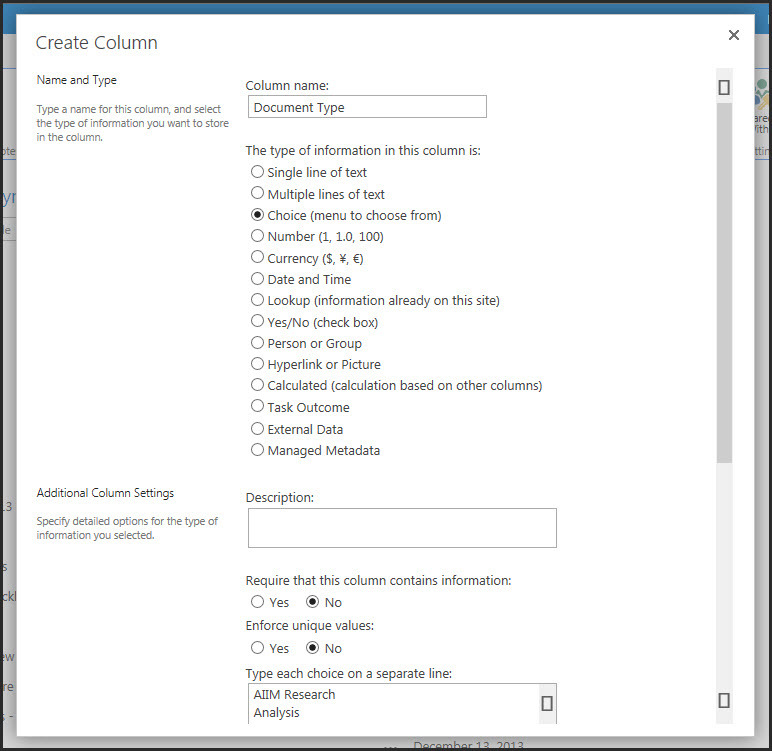 Copy the values and paste them into a choice field, lookup or site column. Now the library is ready for some reorganising of documents. 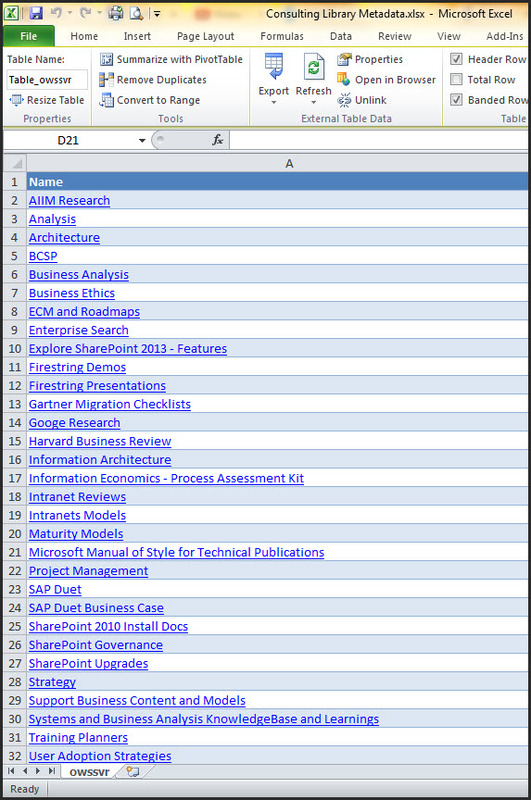 Click in the subfolders one at a time, go to Quick Edit / Datasheet View, and bulk tag them. Once all the documents have been reclassified using metadata, you need to move the documents out of the subfolders to library level. 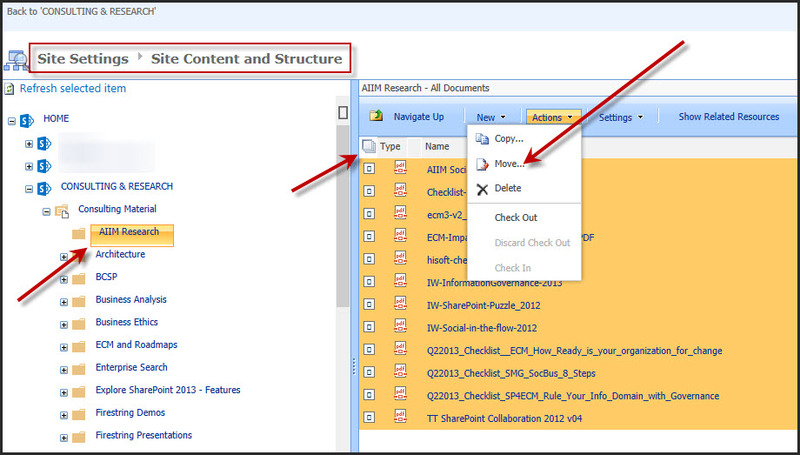 Go to Content and Structure, select the subfolder in the library so the documents display on the right. 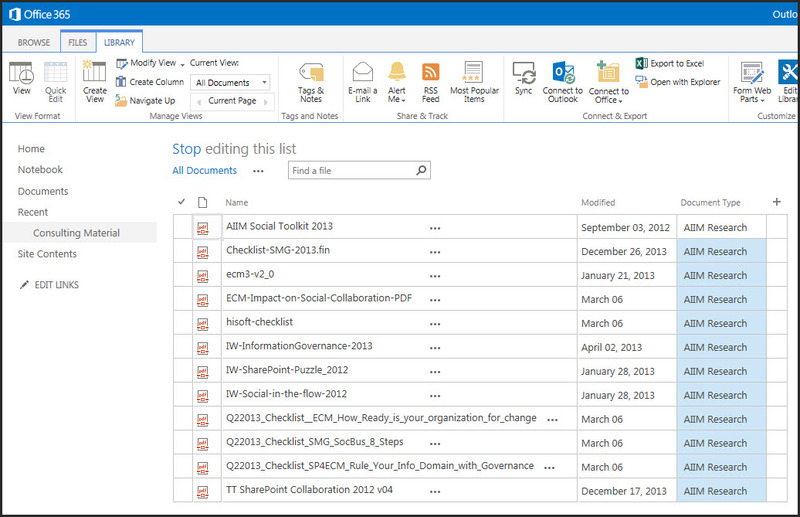 Select all the documents then Actions and Move, and move them one level up. When the documents are out of the subfolder, you can delete the subfolder then create views to slice and dice the documents as required. Pleasure ladies! Glad to help. Thank you V, this is so relevant with our current “clean up” have shared with our Data Stewards. Thank you. Great tip about exporting to excel!